- for when you NEED to KNOW! While You’re Out Of Town? Gateway Investigations, LLC has been serving individuals, law firms, self-insured companies and large scale insurance companies throughout the Greater Midwest since 2008. What sets us apart from the competition? For starters, see what our clients have to say about us. Secondly, you will have direct cell phone, text and/or email contact with either co-owner of the company, Tim Woodburn or Steve Melville, throughout your investigation. Nothing is ever “taken to management to see if we can make that happen.” You will have immediate, direct line communication throughout the investigation as it progresses. We can provide a free consultation and evaluation in order to determine your needs and establish which investigation services are best for you. Gateway Investigations: WHEN YOU NEED TO KNOW! Infidelity Surveillance: We can provide surveillance and GPS tracking services in order to give you the piece of mind you deserve in matters of the heart. Insurance Fraud Surveillance: We perform covert surveillance services to assist in the gathering of conclusive evidence via hi-def video and we further provide a full scale, story board still-photo report for each and every investigation. Family Court Surveillance: We can initiate rush surveillance on matters involving any situation related to child custody, divorce, elder abuse, internal theft, and criminal or civil lawsuits and cases. Missing Persons & Witness Locate Investigations: We are experienced in finding biological family members, lost loved ones and/or old friends and classmates for individuals as well as debtors, heirs and witnesses. We can guide you through the process of filling out the proper paperwork with the proper agencies involved in these matters --- and at a fraction of the cost of what an attorney would charge you. 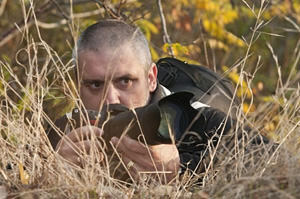 We specialize in difficult locates and can find individuals based on a very limited amount of information. Background Check and Investigations: We can perform a comprehensive civil litigation background investigation on any business or individual, which can be helpful in your making a decision to hire a nanny, a contractor, entering into a business partnership or anything in between! Criminal Investigation: We offer criminal defense investigation services to help prepare a criminal defense. Investigative services include performing background investigations, field investigations, or witness interviews. Attorney Services: We can help attorneys gather and prepare evidence for trials and hearings, including full scale graphic and design of evidence pieces. Other attorney based services that we offer include witness location, interviewing, surveillance and scene inspection for all types of civil and criminal lawsuits. Workplace Accident Reconstruction: We have conducted over 700 workplace accident and reconstruction investigations in the last six years, many of which involved fatality, maiming or other serious injury. We specialize in complete insurance investigation services for a variety of types of cases including workers’ compensation, disability, automobile, and personal injury claims. We can provide surveillance services, background investigations, witness interviewing, and more to help major insurance companies discover fraudulent claims. To learn more about any of these services or to talk with a licensed private investigator, please contact us today at 314-238-1367 or info@gatewaypi.net.